Not only does MTS offer a substantial range of training courses but these are also provided by experienced Approved Driving Instructors. At MTS we pride ourselves on a professional approach to road and passenger safety. The job of minibus driving demands skills higher than normal driving and we will help you master all the different aspects. We are well aware of the increased dangers and subsequently the increased safety legislations being imposed on any person or company that provides a form of transportation for the public. We aim to offer the best possible training to any individual or company that will be tailored to suit their specific requirements. We have training for all, whether it be an individual wanting to take their minibus test so they can search for employment within the passenger-carrying sector, or a large organisation that requires MiDAS training for all of their drivers. MiDAS for all minibus drivers - employed or voluntary. This can be standard or accessible for vehicles carrying disabled people. MiDAS Car & MPV (Multi Passenger Vehicles) for drivers of the slightly smaller transportation. This is a programme developed to enhance the driving and passenger awareness skills of the many thousand of individuals who drive minibuses in the course of their work or as volunteers. 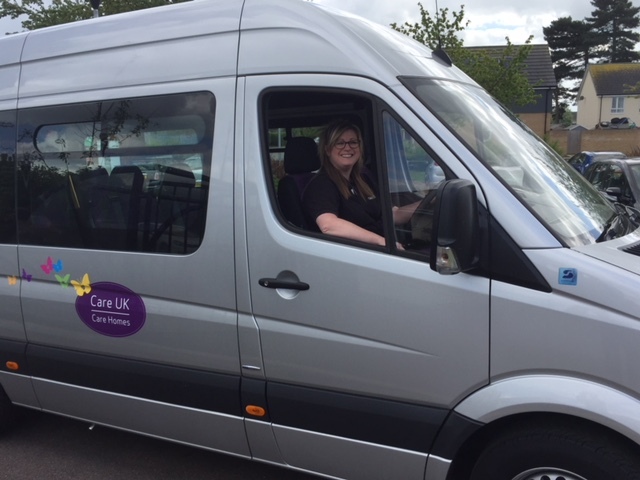 Whilst minibuses are a relatively safe form of passenger transport, everyone agrees that the task of minibus driving requires skills over and above those required for driving a car. Midas is designed to make appropriate training, assessment and accreditation available to minibus drivers from voluntary organisations, local authorities, schools and colleges. Everyone is then taken outside to the minibus in the afternoon where they participate in walk-round vehicle checks and a driving assessment each. Every candidate has approximately 45 minutes for their drive, which is why we can only do up to 3 candidates in one day. If a course has more than 3 candidates, the driving assessments are continued the following day. 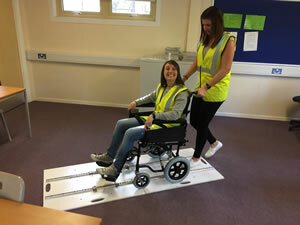 ​The following day, the candidates will be out in the minibus participating in their practical assessments which involve the drive as well as use of the wheelchair and lift. As a result, each candidate is given approximately 1 hour for their assessment. This course is ideal for smaller businesses with a requirement for comprehensive & certificated first aid training. This offers cost effective first aid training for employers that meets current industry & Health & Safety (HSE) guidelines and only lasts 1 day. Designed specifically with smaller low risk companies in mind, such as small offices, the Emergency First Aid at Work Training Course meets the legal obligations of these organizations to provide individuals to render first aid in an emergency. This course involves some classroom based training which provides the skills and information needed when evacuating a vehicle fire. Then there will be a practical element where a person will be observed participating in several evacuations of a passenger carrying vehicle both with and without the presence of smoke simulation. A person may have to be observed or participate in evacuations involving trainees role-playing passengers with disabilities or other factors that may delay or complicate an evacuation. This course is tailored specifically to enhance driving standard and provide car drivers with the information they need to deliver safe and comfortable transport for their passengers. It is also intended to assist the operators of smaller vehicles in meeting their health and safety obligations. The MiDAS Car & MPV training course lasts 1 day and is split into two halves. 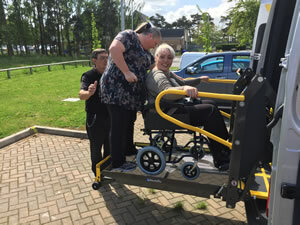 If the delegates have access to a wheelchair accessible car then we prefer to provide the training using their own vehicle and equipment, as this helps us ensure that the course is specific to the circumstances of the particular vehicle and driver(s) concerned. PATS is for anyone who has care or supervision of passengers when travelling by road. PATS has been developed out of Midas and is for those people who undertake the role of passenger assistant, escorts, helpers or care assistants and is relevant for minicabs, minibuses and large buses. This can also apply to drivers who may have to provide assistance. This is a modular training programme which is delivered in separate sections and can be again tailored to individual requirements. Not all modules are required, depending on individual needs.